I have a natural white beard. I have been playing Santa for over 20 years. I am an ordained Minister and can officiate your wedding. I can MC your corporate party. Handle large amount of kids (500 is the largest we have had) Mrs. Claus is available to help. Santa can come to your house on Christmas eve, you wake the kids (link hidden) catch Santa putting gifts under the tree and eating cookies and milk. Then you put the kids to bed I drop a glove and leave. Most people set up a video camera to save this. I am available for Print and Video advertising. Graduate Charles W. Howard Santa School, hold a Bachelor of Santa from Santa University. Background check available on request. Thank you so much for inviting us to your home. Hope to see you next year. Incredible Santa and Mrs. Claus!!!!! Santa Nick and Mrs. Claus were an Incredible duo. Their outfits were perfect and they played off each other very well. They provided an excellent Christmas skit which included Santa and North Pole stories, as well as Mrs. Claus' story book reading. We opened presents and shared some cookies! What a great and Memorable Event! I would put Santa Nick and Mrs. Claus in the Santa Claus Hall of Fame! The highest recommendation! Thank you so much for letting us be a part of your holiday. Could not have been happier with the results of Santa Rick and Mrs Claus visit. 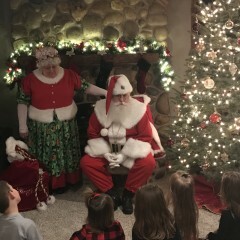 The Santa and Mrs we used for over 30 yrs (for our kids, and now our 10 grandchildren) retired, and we have tried several different Santa's over the last 3 yrs, but no result like we got from Santa Rick. He must of put on the suit when Santa fell off the roof (ha ha). They were a huge hit with all the children and all parents also agreed they were excellent. Kids were entranced listening to everything they said and into the stories. Spent great time with each child..and even warned any bad ones (in a good way) to straighten up. The time flew and they had no problems staying over the time to get everyone's pictures done. Great Job!!! Hopefully you will be available next year. Merry Christmas and God Bless!! Thank you very much for having us in your home. And I am glad a good time was had by all. What a wonderful time! Santa Rick and Mrs. Claus were awesome! The kids were so engrossed in everything Santa said, they loved that Mrs. Claus read them a Christmas story - all in all - it was wonderful! I'm so glad not only to find GigSalad, but the 5 star rating Santa Rick has - I can see why. I would hire him in a heartbeat! Santa Rick - I think your the real deal! Thank you for the wonderful day! Also would ask next time that he doesn't say all the deer are girls (conflicts with all the stories and Xmas movies the kids watch) these are all easy fixes from him and we would hire him again for next year. Thank you for your input. With smaller children 5 and under we let the child decide if they want to tell Santa what they would like for Christmas. Santa Rick did a great job with the children and was a very good Santa at my event. I highly recommend him for your Holiday party! Thank you so much i did have a good time children enjoyed talking to them. Santa and Mrs Claus were great. She read a story and he interacted with both the children and the adults. I would invite them again next year as well as recommend them. You family was a lot of fun. Hope to see ya next year. I can't express enough how happy my whole family was with Santa Rick and Mrs. Claus. The children even the older ones were impressed with the authenticity of Santa. He was professional and reached out to me when they were close by so we could prepare for his arrival. I couldn't have asked for a better day overall and he was a huge part of the success of our party. Thank you Santa Rick, Mrs. Claus and Elf helper!!!! Santa was great, he captured the kids attention the moment he walked in the room. Five little boys (ages 2-7) were VERY excited when Santa arrived! No one cried - everyone was happy!!! Santa told some great stories and helped everyone feel very comfortable! Overall, Santa Rick and Mrs. Claus were awesome. This is the second time we've used them (once was 2 years ago) and again they were great for the kids and adults. Communication leading up to the event was nonexistent which had me worrying until I got a call about 2 hours before he was to show, but other than that, they were 100% great! Thank you, Jason, we were slammed so call did get a little behind. I will work on making that communication better next year. Santa Rick and Mrs. Claus were amazing! They were so wonderful with our kids 8,7,5,5,3. It was a perfect evening. The kids were so shocked when Santa came in the house. The Clauses answered questions, showed the kids the head elf, took pictures and asked each child what they wanted.l for Christmas. We will definitely have santa rick next year. It was so worth it. Thank you, Emily Santa and Mrs.C had a wonderful time at your house. I am glad the kids asked questions about the north pole the have so many questions about the pole. Santa Rick and Mrs. Claus were a huge hit at our event. They were wonderful with children and adults. Highly recommend. Thank you so much we did enjoy your event. 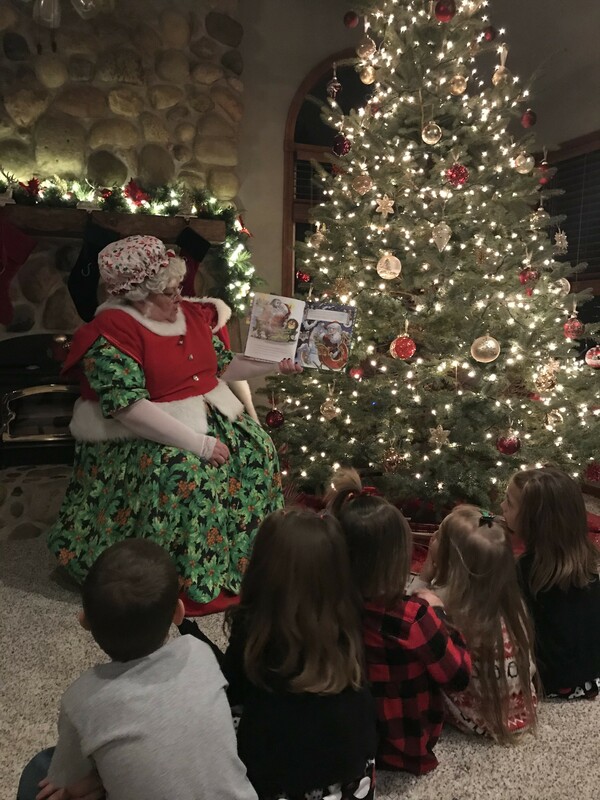 Mrs. Claus was sick so Santa brought an 'elf helper' who arrived in jeans and a sweatshirt and read Twas the Night Before Christmas without much enthusiasm. I was offered neither a discount or an option to simply have just Santa which I would have preferred. 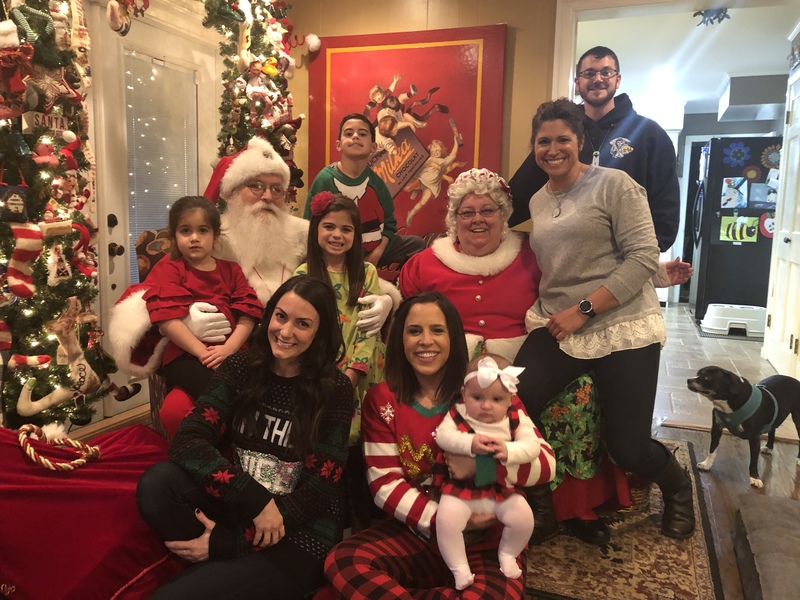 I understand that Santa was probably trying his best given a sick Mrs. Claus but I did not feel as though he was concerned about how my family and the kids would take a stand in elf who was not dressed properly. I would not hire this Santa again. Sorry Krista that was the first time my Daughter read the book. If you felt like that why didn't you say something when I asked if their was anything else you wanted us to do. My elf just got home and to make it to your house on time we had to leave then. We did try to make you happy with all of the other 10 questions you had for us. OH and by the way my elf does not have a costume. She is usually their to take picture for your quests. Santa Rick and his elf are exceptional. 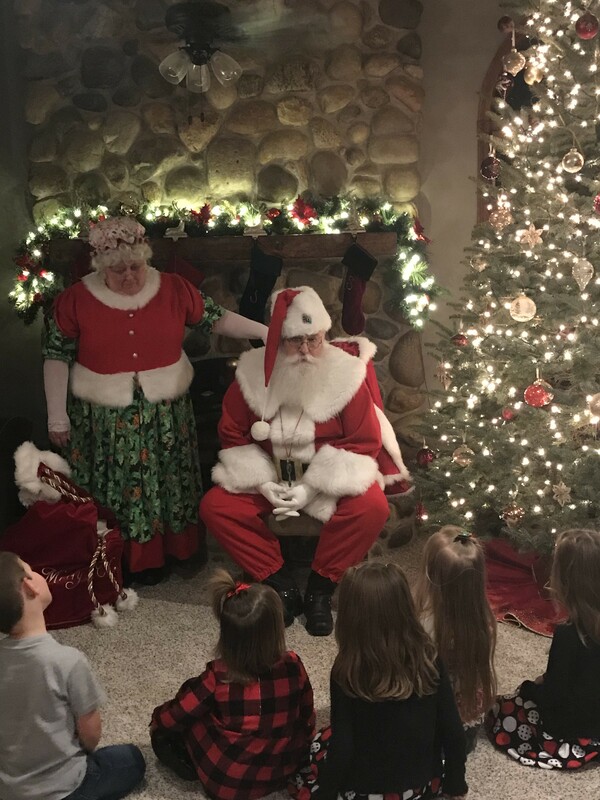 We hosted a neighborhood party of about 50 + children; Santa Rick was the highlight of the evening for both young and old. Very engaging with adults and children and exemplifies the spirit of the holiday. He, and his elf, delighted the party with Christmas stories and answered all the children’s questions about the North Pole and his raindeer. We hope that Mrs Claus recovers from the flu quickly (kind of her to pass on the event, but we did miss her). Without hesitation, I’ll be seeking Santa Rick in the future – you can’t go wrong. Santa Rick is a MUST for any Christmas event. Santa Rick you were fabulous. The kids all loved you and left with a magical experience. We had some hiccups and you handled them so great. Thank you Santa Rick we will use you again! Santa and Mrs Claus are a great team! Thank you so much your family was great. And letting us join in your celebration. Santa Rick and Mrs. Claus were awesome! They were cheerful, read to the children, engaged them in conversation, told stories, sang songs - in short made our already fun annual Christmas Eve party so much better! I would highly recommend Santa Rick. My entire family (children and adults) was charmed and entertained. Thank you so much Mary your family was so much fun. Santa Rick and Mrs Claus were wonderful. They entertained and captivated the children, and parents as well. Santa used to puppet to entertain and keep their attention. They posed for family photos and certainly were the reason our party was a huge success. We strongly recommend them. Thank you so much for letting us be part of your family at Broolwood. Santa Rick was awesome. We weren't expecting Mrs. Claus, but she came and made the event even more special. Santa Rick was great with the kids and parents. Parents raved about his personality after their children visited with him. Thanks! wow, what a wonderful experience! Working with professionals like Santa Rick and Ms Claus made my life so easy. I had to change the time line twice, the last time was about an hour before they were expected, and they did it with no problem. I knew there was a GOD when Santa Rick arrived. 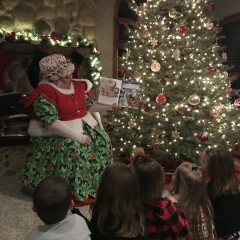 For the first time in 3 hours - I didn't hear a peep from the 25+ children (ages 1 month to 15 yrs) They sat in a semi circle around Mr/Mrs Claus, as she read the night before Christmas. One little one keep "Ho, Ho, Hoing" and than when Santa gave a big deep Ho,Ho they all were Wowed, and continued to hear the story. Afterwards, Santa had them ask questions, and it was terrific. Wished I would have typed it, it could have been the next reality show. Santa was amazing, didn't care what the kids ask, he had a great comeback. 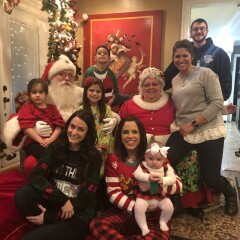 Families took pictures of each child with Santa, and than Santa offered to stay and have group pictures with the Family. My profession in Customer Service in Vegas, so needless to say, I'm very critical of situations. Rarely would I give a 5 star to anyone/thing, but this was truly a 5 Star experience, from the initial booking, follow up, change of schedule, and actual experience with the kids. I would highly recommend using Santa Rick for any and all functions. You will not be disappointed. Thank you Leah for the excellent review. We did have lot fun with your family. We were glad to help make your holiday a fun experience. Santa Rick and Mrs Claus arrived on time and were very professional. My 3 yr old had a short attention span but still managed to jump into Santa's arms. My 8 yr old was on the line about believing but thanks to Santa Rick's visit, I think we may get another year or 2 out of him. We took ALOT of pictures and have great memories. Thank you Dana for a wonderful review we had a great time with your family. Thanks for making my daughter's Christmas a memorable one. I was pleasantly surprised when he showed up with Mrs. Claus. Santa Rick answered many of my daughter's questions about the North Pole and had some great answers. Also I very much appreciated that he also engaged with the other guests at the Christmas dinner. I think it will be memorable for all...young and old! Thanks Santa Rick and Mrs. Clause! Mr & mrs clause came on time & they did a great job! Santa Rick and Ms. Claus were great at our company holiday party! Highly recommend for any future events! Showed up before start time (even in a snow storm) and stayed later than asked to take pictures! Thanks for the great prescense of Christmas and Whim! Santa Rick has over 15 years as Santa. 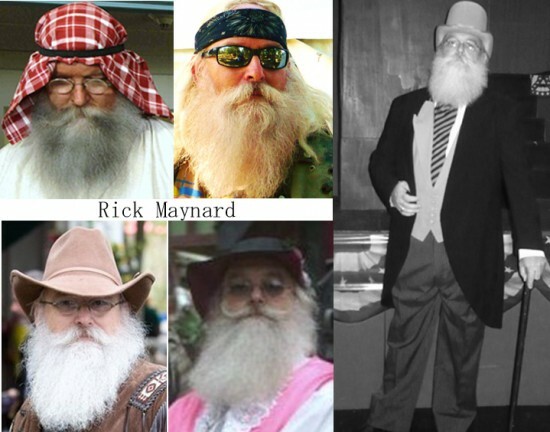 Rick has a Bachelor of Santa from International University of Santa Claus.Rick is am a member of (M.A.P.S.) 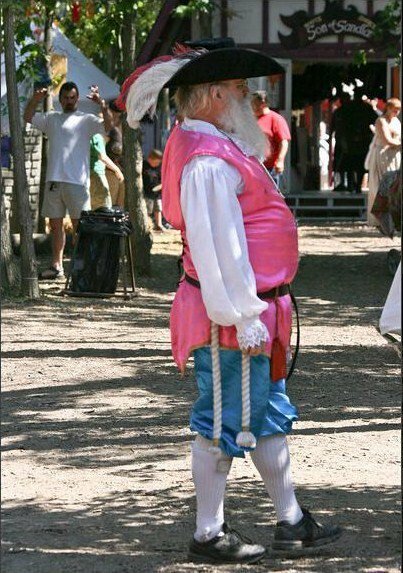 Michigan Association of Professional Santa's and The Brotherhood of the Direct Descendants of Santa Claus. Rick has taken "The Santa Oath". Rick has won a few awards for acting Best Supporting Trial of the Century* 2010 and Best Actor for The President goes to haven** 2011. Played Extras in Real Steel. Recently played a Santa in Holiday Miracle with Dean Cain (not released yet). Rick has done numerous plays as a lead and in the chorus. Rick has a few other looks Mr. Monopoly, Cowboy, Priest, Muslin, Bike.